all life comes from the sea, and the ocean is dying, what does that mean for you? What is it exactly that the government doesn't want you to know??? October 18, 2014 (RIA Novosti), Ekaterina Blinova – Radiation levels at Japan’s notorious Fukushima Nuclear Power Plant jumped after the plant was hit earlier this month by two typhoons: Phanfone and Vongfong. "The back-to-back weather disturbance typhoons Vongfong and Phanfone had triggered the elevated radiation quantities at the plant," writes the International Business Times, citing NHK, Japan's state-run media outlet. According to Japan's JIJI agency, levels of cesium, a radioactive isotope that causes cancer, are three times higher than their previously registered rates and are currently 251,000 becquerels per liter, while levels of tritium, another dangerous isotope, have grown as high as 150,000 becquerels. Tepco's (Tokyo Electric Power Co.) spokesperson emphasized that heavy rainfall triggered by Typhoon Phanfone had apparently impacted Fukushima's groundwater. "In addition, materials that emit beta rays, such as strontium-90, which causes bone cancer, also shattered records with a reading of 1.2 million becquerels," JIJI agency pointed out, adding that the wells that groundwater samples had been taken from were located close to the nuclear plant's port in the Pacific. 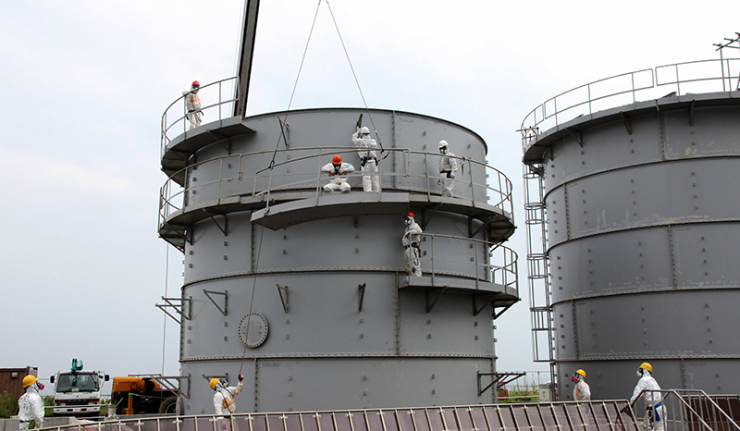 Asahi Shimbun underscores that Tepco's task of decontaminating all the radioactive water stored at the Fukushima No. 1 plant by the end of this fiscal year will be "increasingly difficult" to accomplish. "According to a Tepco estimate made in February, the amount of highly contaminated water should have been reduced to 300,000 tons by about now, but the water cleaning procedure is currently a month behind the original schedule," the media outlet stresses. Asahi Shimbun reveals that another problem is that the groundwater flow into the plant's reactor building is increasing the amount of highly radioactive water by 400 tons a day. Although the corporation claims that it has succeed in reducing the influx by 130 tons a day due to its various counter-measures and its "underground water bypass project," these estimations have not been verified, the media source notes. The ambitious water-decontamination plans have yet to be completed and it remains to be seen when Tepco will be able to accomplish its task. Given radiation’s ability to bio-accumulate in sea life, many fear that the massive animal die-off along the west coast is related to the continued consumption of radioactive isotopes. Sea stars and sardines have been especially affected, with other strange anomalies such as the discovery of “never before seen” conjoined gray whale calves off the coast of Northern Mexico, sparking increased worry as well. John Bertucci carries his Geiger counter wherever he goes. The counter, which is a little larger than his hand, measures radiation levels in the air around him. "I'm still learning how to use the device but it gives me peace of mind to know that I can do something to inform and protect myself," said Bertucci, who lives in Petaluma, a small town close to California’s northern coast. Burtucci isn't a scientist. He's a filmmaker who has lived in Petaluma since the 1950s. He says he's learning about radiation monitoring because he is not seeing the United States government or local authorities doing enough to systematically monitor air, food and ocean waters for radiation levels after the Fukushima Daiichi Nuclear Power Plant disaster in March 2011. Three of the plant's nuclear reactors melted down after the plant was hit by a tsunami, which was triggered by a magnitude nine earthquake. Shortly after, the Fukushima plant started spewing radioactive materials into the air and ocean waters. "Japan is thousands of miles from the California coast but there are indicators that the radiation is reaching California," said Bertucci. Bertucci is a founder of Fukushima Response, a network of people residing in northern California who collect and disseminate information about the radiation threats of the Fukushima Diiachi nuclear plant disaster. The group of six people started meeting in May 2012 in a Petaluma coffee shop and have grown into a network of 35 activists with supporters from all around the United States. In their monthly meetings, group members share recent news about the Japanese government's activities at the Fukushima plant, research reports from scientists, and ways for communities to monitor radiation levels for themselves. In October 2013 the group organized a human mural spelling out the words "Fukushima is Here" on San Francisco's Ocean Beach. "I know that the people in Japan are facing the worst of the conditions but I also worry about my children here in California. Will there be high levels of radiation in the air and will my children be able to swim in the Pacific Ocean in the coming years?" said Maggy Hohle, who attended a Fukushima Response meeting in November and is a mother of three boys. Bertucci, Hohle, and others at Fukushima Response say that they are not convinced that the Environmental Protection Agency, a US governmental agency responsible for protecting human health and the environment, is doing enough to monitor radiation levels. Additionally no US government agency monitors radiation levels in ocean water. The EPA monitors radiation levels in air, drinking water, precipitation, and pasteurized milk and reports the data to the public. 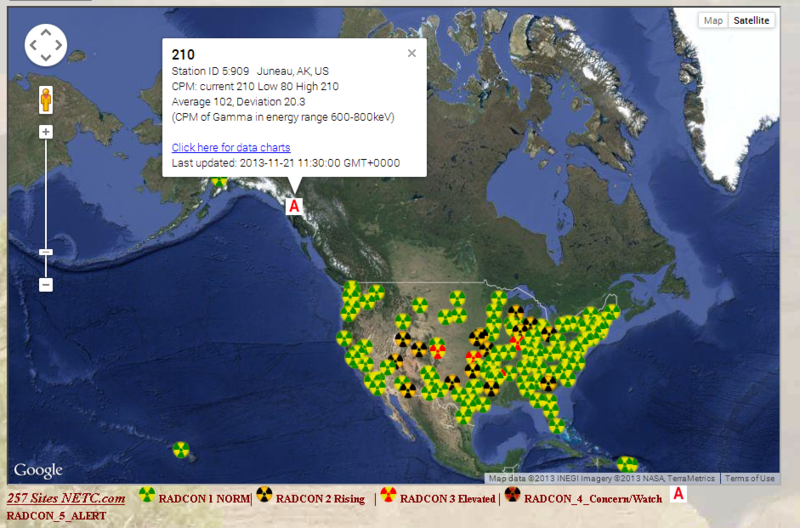 The agency's air monitoring system, called RadNet, consists of 132 stationary monitors spread throughout the US. The monitoring stations continuously read radiation levels and a computer reviews the data and reports abnormal radiation readings to EPA laboratory staff. 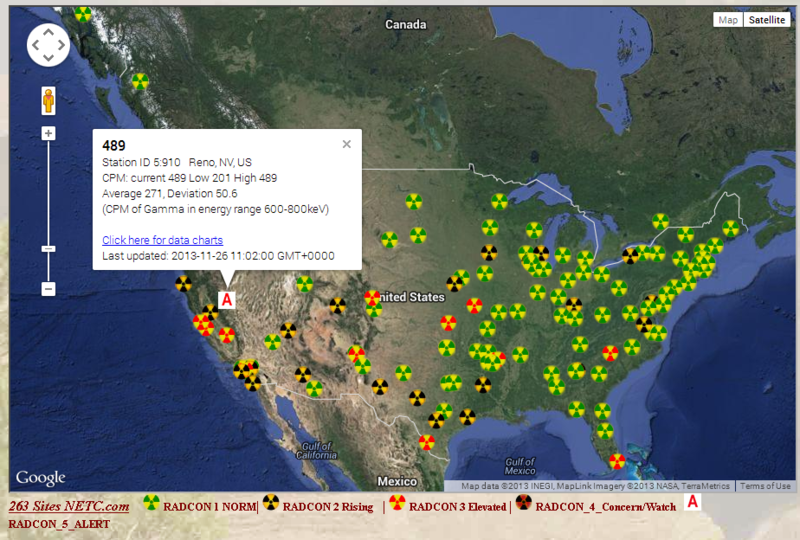 However, radiation monitoring experts and activists says that the RadNet system is inadequate and can't protect the public in case of a major nuclear disaster, especially if something goes wrong at one of the 104 US nuclear power reactors or there are additional explosions at the Fukushima nuclear plant. "The government knows that we need more air monitors because after the 3-mile nuclear meltdown in Pennsylvania in 1979, many experts and reports recommended something like 250 monitoring stations for every power plant," said Dan Sythe, a radiation monitoring expert based in Sebastopol and owner of International Medcom, a company which makes handheld radiation detection devices like the Geiger counter that Bertucci owns. Most states have one or two stationary air monitors. Texas and California have 11 monitors each, the most of any states. "Sometimes the RadNet monitoring stations are down and other times they just don’t give out the data," said Bertucci. An April 2012 audit by the EPA Office of the Inspector General echoed some of these concerns and reported that 25 out of 124 or 20 percent of the EPA's air monitoring stations were not working right after the Fukushima disaster. Additional monitors hadn’t been serviced or had their air filters replaced in more than eight weeks. The report stated that "if RadNet is not managed as a high-priority program, EPA may not have the needed data before, during, and after a critical event such as the Japan nuclear incident. Such data are crucial to determine levels of airborne radioactivity that may negatively affect public health and the environment." Since the audit the EPA has added eight more monitors and says most of the monitors are working. However the monitors continue to be operated by volunteers and not paid EPA employees. When data is collected and reported on RadNet, Sythe says the data is difficult for the average person to understand and use to make decisions in their daily lives. 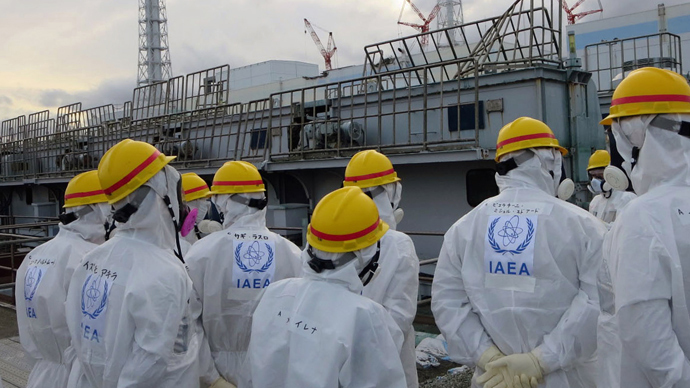 "This system is funded by tax payer money and people should be able to understand and use the data in a timely manner," said Sythe who has visited Japan nine times including once to the city of Fukushima since the nuclear plant disaster. "Because of the mistrust that people have of the EPA, they are shifting to personal radiation testing devices," Sythe said. Many Geiger counters start at about $300 and can detect gamma rays, alpha, beta, and x-ray radiation. This kind of personal and community monitoring is taking place in Japan mostly through a radiation monitoring network called Safecast. With partners such as the John S. and James L. Knight Foundation and Keio University, a private university in Tokyo, Safecast maintains a radiation sensor network comprised of stationary and mobile sensors operating around Japan, both near the Fukushima plant and elsewhere in the country. According to Safecast’s website, by December 2013 the non-profit group had collected over 14 million radiation data points and publishes then on it's website for free. "We don't have anything near Japan's high levels here in California but we also don’t have a reliable monitoring system to inform the public quickly about radiation exposure," said Sythe, who has worked as an adviser to Safecast. When asked about Fukushima fallout, a term used to describe the radioactive particles that are produced by a nuclear explosion and then fall through the atmosphere, some scientists are quick to say that there aren't any signs of it on the West Coast of the United States. "There is no evidence of Fukushima fallout here in California and local fish are safe to eat but I won't be surprised to see small amounts of Fukushima fallout in the Pacific in the future," said Eric Norman, a nuclear engineering professor at University of California Berkeley. Days after the Fukushima incident in March 2011 Norman tested rainwater and local milk samples in Berkeley and found low levels of radiation linked to the Fukushima nuclear power plant. Since then he's done sporadic testing of rainwater and local yogurt samples but says he hasn’t found any radiation in those. "There is no systematic testing in the US of air, food, and water for radiation, continuous testing is needed," said Norman. Norman says he is especially concerned since the Japanese government admitted in late July that more radioactive water has been coursing into the Pacific Ocean then they first had reported and in late November the Japanese government started removing more than 1500 fuel rods from reactor number four. Experts say another earthquake or a mistake in the handling of one fuel rod could trigger another radioactive disaster. Scientists are looking at various unusual occurrences of marine animals recently dying along the Pacific coast and research that shows low-level radioactivity in California fish. Since July, researchers at the University of California Santa Cruz have been seeing starfish along the northern California coastline with a disease that makes their arms fall off and they eventually die. It’s being called the sea star "wasting" disease because the small scaly fish slowly waste away. "It is unlikely that it could be from Fukushima but we are not ruling it out," said Pete Raimondi, Chair of the Ecology and Evolutionary Biology Department at UC Santa Cruz. Raimondi is investigating the sea star disease and says debris from the Fukushima disaster that has floated over to the California coast could have toxins or radioactive particles that may have affected the starfish. In 2011, marine scientists from Stony Brook University and Stanford University tested 15 Pacific bluefin tunas caught off of the coast of southern California and found small amounts of radioactive elements from the Fukushima nuclear power plant. According to the research the migratory bluefin tuna were 1-2 years old and swam in radioactive waters between Japan and California. Additionally, according to the National Oceanic and Atmospheric Administration (NOAA)), a US governmental agency, from January to May 2013 more than 1400 starving sea lions washed up on the beaches of southern California because there wasn’t enough fish in the ocean for them to feed on. 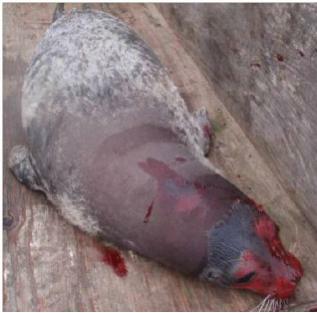 This is a 75 per cent increase over the annual average of sea lions washing up on shore. The NOAA is calling it an "unusual mortality event" and don't know why it is happening. Also, unprecedented numbers of whales, dolphins, anchovies, and other marine animals have been seen closer to shore than ever before. Despite all of these indicators leading marine chemist Ken Buesseler says no US government agency currently tests radiation levels in the Pacific Ocean. "I don't expect the radiation levels to be high but we can't dismiss the concerns that the public has," said Buesseler, who works for the Woods Hole Oceanographic Institution, a non profit research organization based in Massachusetts and focused on studying the ocean. Buesseler, along with a team from WHOI, made the first of his three visits to the Fukushima area in June 2011. They suspected groundwater flowing through the reactor site was carrying radiation into the sea. Buesseler says weeks after the March 2011 Fukushima Plant disaster occurred a large plume of radioactive air swept across the Pacific Ocean and over California. According to Buesseler a second plume is headed towards California, this one is in the water and has taken almost three years to make it across the Pacific Ocean. "The effects of Fukushima will be increasing as the front edge of a large water plume coming from the nuclear plant will reach California soon and increase over the years," said Buesseler. Buesseler recently took his concerns to Washington where he met with US government officials at the various agencies responsible for monitoring radiation levels in air, food, and water. He said he visited officials at the Department of Energy, the National Oceanic and Atmospheric Administration, the Food and Drug Administration, and the Environmental Protection Agency. "They all said that it's not their responsibility to test the Pacific Ocean for radiation. This issue is falling between the cracks of government responsibility. It’s a health and safety issue here," Buesseler said. Bertucci and Sythe say that with no US government testing ocean waters there isn't any large scale studies to peak the interests of local or national government officials. "There isn't data to suggest that people should be alarmed about the radiation levels of the waters along California's coast. There is no evidence of environmental impact or affects on public health," said US Congressman Jared Huffman, who represents a large part of California's northern coast. However some members of Fukushima Response say that a lack of data doesn't mean that the issue doesn't exist. "The nuclear energy lobby groups are strong and there is a lid on the kind of peer reviewed scientific data that is going to give us the quantifiable effects [of the Fukushima radiation]," said Bertucci. Huffman says he doesn't see any signs of a cover up by the nuclear energy industry or the US government but says that "the US government should be doing more testing in order to convince the public that the ocean and fish are safe." Buesseler's concern about radiation levels in the ocean and the absence of a government monitoring program led him to start his own testing and monitoring service. Buesseler says he is in the process of setting up a website that will allow people to mail samples of water collected off their beaches and docks to the WHOI for a tax-free donation. The results will be posted on the Internet for the public to access. "I'm not terribly confident in the information Japan is sharing about the plant’s activities and clean up. That's why it's even more important now to advocate for continuous testing of air, food, and ocean water for radiation," said Norman. 3, according to Tokyo Electric Power Co (TEPCO), the plant’s operator. the building and further inspection of the situation. cold shutdown for planned maintenance, thereby managing to avoid meltdowns. plutonium-based MOX nuclear fuel composed of 514 fuel rods. just above the reactor containment, the Japanese newspaper reported. task of removing the cores of the stricken reactors is yet to come. Radiation reaching the United States from the nuclear meltdowns in Fukushima, Japan is causing significant harm; affecting newborn Human babies in California, Pacific Ocean sea life, and even inland wild life. Radiation is causing massive die-offs of sea life as well as mammals, birds and reptiles inland. High percentages of inland animals that are not already dead are losing their fur, bleeding from lesions all over their bodies and failing to reproduce. Radiation contamination of sea food is already confirmed and contamination of the inland food supply is now taking place as rain carries radiation from the Pacific ocean to inland farms. 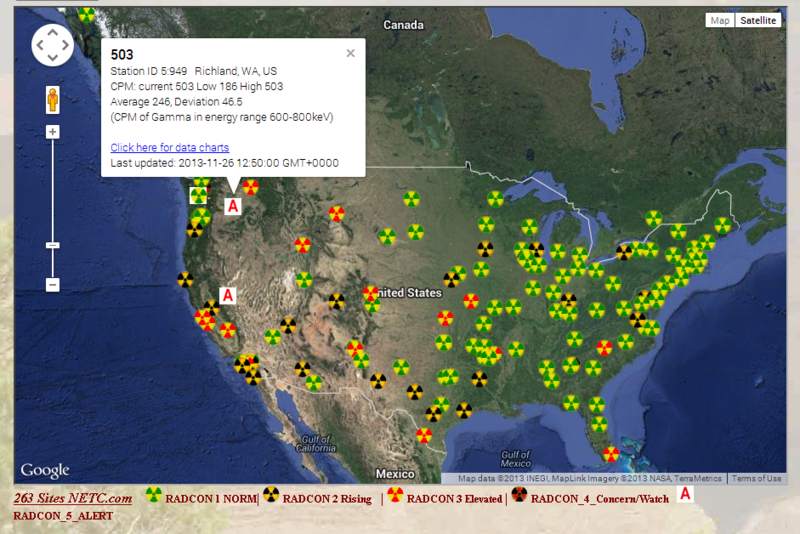 U.S. Government propagandists are claiming everything is all right - but they aren't even monitoring radiation levels - while scientists outside the government are warning the worst is yet to come. Newly released government projections (contained in this article) show parts of Hawaii, Alaska and the entire west coast of North America may become uninhabitable due to radioactive Cesium-137 making its way toward us in the Pacific. The Fukushima Daiichi nuclear disaster was a nuclear energy accident at the Fukushima I Nuclear Power Plant, caused by an earthquake and, later, a tsunami (tidal wave) generated by that earthquake on 11 March 2011. The tsunami caused equipment failures and without this equipment, coolant stopped flowing into the reactor cores allowing them to get so hot, they melted. During the meltdowns, radioactive materials were released into the air and water beginning on March 12, 2011. Fukushima is the largest nuclear disaster since the Chernobyl disaster of 1986 and the second disaster (along with Chernobyl) to measure Level 7 on the International Nuclear Event Scale. The plant comprised six separate boiling water reactors originally designed by General Electric (GE) and maintained by the Tokyo Electric Power Company (TEPCO). At the time of the earthquake, reactor 4 had been De-fueled and reactors 5 and 6 were in cold shutdown for planned maintenance. Immediately after the earthquake, following government regulations, the remaining reactors 1, 2 and 3 shut down automatically, inserting control rods in what is termed a "SCRAM event." Following this, emergencydiesel generators came online to power electronics and coolant systems which operated right up until the tsunami. The tsunami arrived 50 minutes after the initial earthquake. 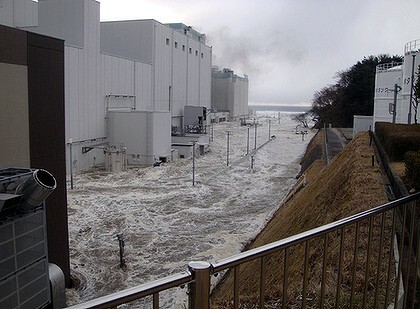 The 13 meter (40 Feet) tall tsunami tidal wave overwhelmed the plant's seawall, which was only 10 meters (30 feet) high. The tsunami water flooded rooms in which the emergency generators were housed. The floodeddiesel generators failed, cutting power to the critical pumps that must continuously circulate coolant water through a reactor to keep the fuel rods from melting down. Even though the control rods had come down and the nuclear reactions had halted, the fuel rods remained red hot following the SCRAM event. In fact, the rods remained hot enough to melt themselves down when no adequate cold sink was available. Once the diesel generators failed from the tsunami flooding, secondary emergency cooling pumps kicked-in; they were run by batteries. One day later, the batteries died for the secondary emergency pumps. The pumps stopped and the reactors began to overheat due to lack of water to cool the fuel rods. As workers struggled to supply power to the reactors coolant systems and restore power to their control rooms, the overheating reactors released hydrogen gas; an incredibly explosive gas. 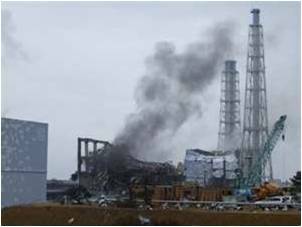 A number of hydrogen-air chemical explosions occurred, the first in Unit 1, on March 12 and the last in Unit 4, on March 15. These explosions tore the reactor buildings apart, and did severe damage to whatever cooling systems remained; making them all but useless. In 2012, the Congressional Research Service reported to Congress as follows: "As it approaches the west coast of North America, the North Pacific Current splits into the southward California Current and the northward Alaska Current. Although these currents have the potential for bringing radiation from Japan’s Fukushima Daiichi nuclear accident to U.S. waters, their flow is slow ... Regardless of the slow flow, radioactive contaminants with long half-lives (e.g., cesium-137, with a half-life of about 30 years) could still pose concerns if transported over long distances by ocean currents." Scientists at the Woods Hole Oceanographic Institution advised that radiation levels in seafood should continue to be monitored ... there remains the potential for a corridor of highly contaminated water leading away from Japan and a very patchy distribution of contaminated fish; extensive monitoring will determine the exact dispersion of these radioactive contaminants. [...] It has been suggested that cesium-137 may move up the food chain and become concentrated in fish muscle or that radiation hot spots may occur. Another potential concern is related to accumulation of strontium-90 in fish bone [...] additional radiation from [Fukushima] might eventually also be detected in North Pacific waters under U.S. jurisdiction, even months after its release. Regardless of slow ocean transport, the long half-life of radioactive cesium isotopes means that radioactive contaminants could remain a valid concern for years. On August 20, 2013 in a further incident, it was announced that an ADDITIONAL 300 metric tons of heavily contaminated water had also leaked from a storage tank at the plant and had gone into ground water and into the Pacific. What this means is that the water pouring out of that plant today is just as poisonous as the water that came out the first day this accident took place; and it has been that way for over 1,000 days -- and counting! Scientists at the University of Alaska are concerned because some radiation has arrived in northern Alaska and along its west coast. That's raised concern over contamination of fish and wildlife. 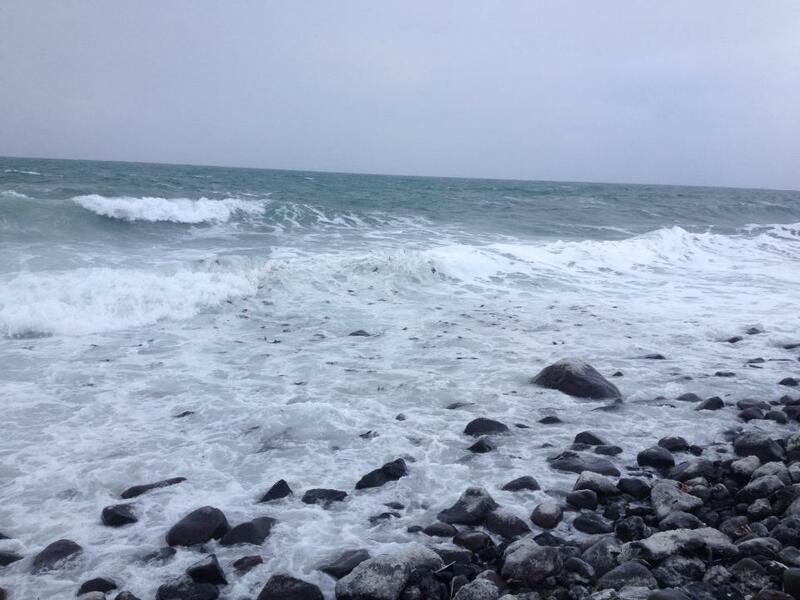 More may be heading toward coastal communities like Haines and Skagway. Douglas Dasher, a researcher at the University of Alaska Fairbanks, says radiation levels in Alaskan waters could reach Cold War levels. "The levels they are projecting in some of the models are in the ballpark of what they saw in the North Pacific in the 1960s," he said. Those levels occurred after the US conducted open-air blasts of nuclear weapons in the south Pacific. This contamination is taking place because the major ocean currents running east from Japan, split as they approach the North American continent; part of the current heads north toward Alaska, the other part heads south toward the U.S. west coast. Those currents are carrying highly radioactive water from the Fukushima disaster throughout the Pacific ocean. In November, 2013, enormous amounts of Star Fish on the sea floor off the California coast have begun dissolving into mushy piles of white goo. During an ocean dive Thursday morning, November 7, 2013 off the coast of Santa Cruz, Pete Raimondi [UCSC ecology professor] watched two halves of a broken sea star ravaged by a “wasting syndrome” walk away from each other. Not long after, they would turn into mushy piles of goo, disintegrated by a disease that has so far perplexed scientists. It appears the syndrome is impacting as many as 10 sea star species up and down the West Coast, wiping out entire populations in certain areas. “They can go from great -- to pieces -- in 12 hours,” said Raimondi. The Pacific Ocean is in the middle of a cooling trend, so biologists are at a loss to explain the outbreak. Others, speaking to Turner Radio Network on condition of anonymity fearing retaliation from authorities, said the cause has already been identified: radiation poisoning. These biologists have been threatened with losing their jobs if they reveal this publicly. On November 11, 2013 FOX NEWS reported that since June, researchers have seen the disease spread from as far as British Columbia, Canada, down through California and, within the past year, from Maine through New Jersey. The scientists tracking the disease find this simultaneous bi-coastal infection especially alarming. “There is no direct route to get from Providence to Seattle,” Gary Wessel, a molecular biologist at Brown University. However, when one considers the evaporation of radiation-contaminated water from the Pacific, being carried inland by weather systems, and the jet stream then carrying those weather systems to the east coast, the explanation becomes obvious. 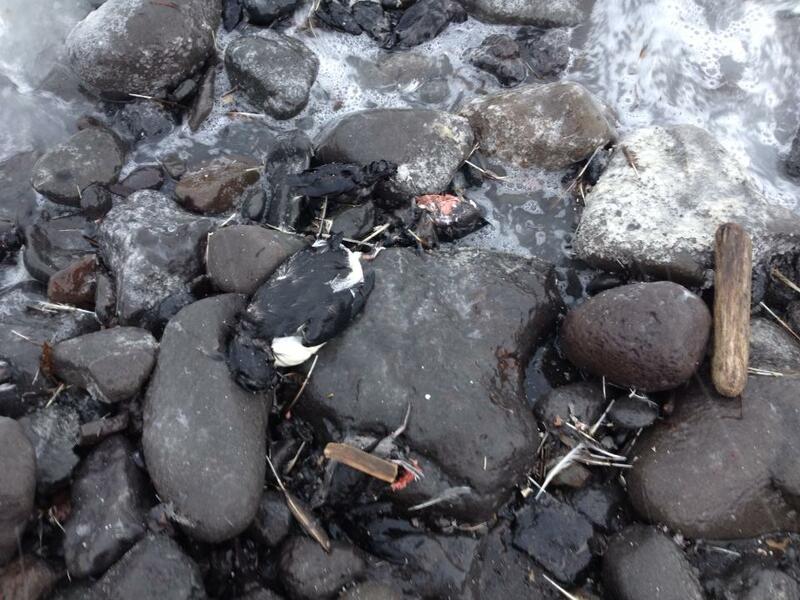 On November 23, 2013, thousands of dead sea birds began washing up on the shores of Alaska. Many of the carcases were broken open and bleeding. The toxic effects of radiation on sea life is getting so terrible it is actually causing sea creatures to flee the deep ocean and head toward the shores.On November 24, the New York Times reported: It began with the anchovies, miles and miles of them ... in the waters of Monterey Bay. Then the sea lions came, by the thousands ... then pelicans ... bottlenose dolphins in groups of 100 or more have been spotted. But it was the whales that astounded even longtime residents — more than 200 humpbacks ... and, on a recent weekend, a pod of 19 rowdy Orcas ... the water in every direction roiled with mammals. For almost three months, Monterey and nearby coastal areas have played host to a mammoth convocation of sea life that scientists here say is unprecedented in their memories ... never that anyone remembers have there been this many or have they stayed so long. Last month, so many anchovies crowded into Santa Cruz harbor that the oxygen ran out, leading to a major die-off. Marine researchers PUBLICLY say they are baffled about the reason for the anchovy explosion. PRIVATELY, they tell the Turner Radio Network the cause is Fukushima radiation but they've been told to keep quiet to avoid causing a public panic. According to a November report by the U.S. Geological Survey: Alopecia (loss of fur) and skin lesions were recently observed in polar bears off the northern coast of Alaska. 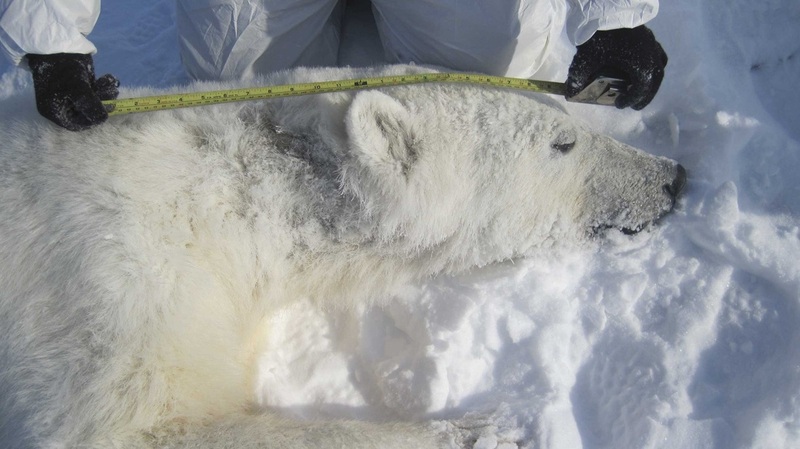 According to the Alaska Region Marine Mammal Stranding Network since the spring of 2012, a total of 23 polar bears from Barrow, Deadhorse and Kaktovik have been identified with variable degrees of hair loss/ thinning, inflamed and crusting skin, and oral lesions. The prevalence of these symptoms appears to be in about 28% of observed animals.The concurrent presence of hair loss in seals, walrus and polar bears has suggested a possible connection between the events. Biologists in Alaska have observed a high rate of non-viable eggs in nests of greater white-fronted geese. 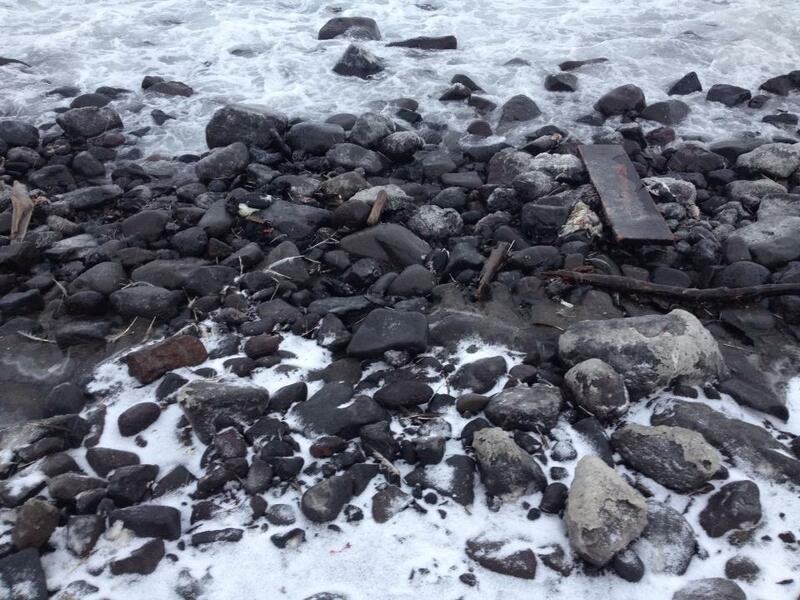 Northern fur seals and soil samples in Alaska are also showing unusual signs. In another study, the Alaska Science Center has documented surprisingly high mortality (20–30 percent) of adult female musk ox during mid- to late summer in northwestern Alaska. In Montana, Wyoming and inland to Minnesota, the effects of Fukushima are already being seen. According to the Billings (Montana) Gazette, Nov. 18, 2013: Jared Jansen said, he and his father, Mike, have seen up to 100 dead deer at a time along the Musselshell River. ... die-offs have whittled the once hardy deer herds down to a handful. “I’ve only seen three does this year. . . It used to be when I was haying along the river, early in the morning, I’d see 200 to 500 head in the meadows.” The reasons attributed to these die-offs sound like something out of a science fiction thriller: epizootic hemorrhagic disease, sylvatic plague, bluetongue, brucellosis, chytrid, chronic wasting disease ... Yet the all-too-real afflictions threaten to reduce the populations of wild mammals, birds and reptiles across Montana, Wyoming and other regions. “There is a general consensus among scientists that we are seeing more disease,” said Jonathan Sleeman, director of the U.S. Geological Survey’s National Wildlife Health Center in Madison, Wis. . . so many diseases afflicting such a wide variety of animals ... A study is being conducted in northwestern Montana to examine the possible causes." Others within the USGS who asked to remain anonymous for fear of their jobs say that radiation is the cause, but the government won't admit it because there is nothing they can do about it. In Minnesota, the Independent Record newspaper Oct. 31, 2013 reports Moose in the northern United States are dying ... The die-off is most dire in Minnesota, where ecologists say moose could be gone within a decade. Concerns have prompted a 10-year study of moose in Montana. It’s not just in Montana, either. An aerial survey of moose in northeastern Minnesota earlier this year showed a 52 percent drop in population, which prompted the Minnesota Department of Natural Resources to completely call off the 2013 moose hunting season. In various regions of British Columbia [Canada], populations have declined from 20 to 70 percent in recent years. A new study of the effects of tiny quantities of radioactive fallout from Fukushima on the health of babies born in California shows a significant excess of hypothyroidism caused by the radioactive contamination traveling 5,000 miles across the Pacific. The article will be published next week in the peer-reviewed journal Open Journal of Pediatrics. Congenital hypothyroidism is a rare but serious condition normally affecting about one child in 2,000, and one that demands clinical intervention - the growth of children suffering from the condition is affected if they are left untreated. All babies born in California are monitored at birth for Thyroid Stimulating Hormone (TSH) levels in blood, since high levels indicate hypothyroidism. Confirmed cases of hypothyroidism, defined as those with TSH level greater than 29 units increased by 21% in the group of babies that were exposed to excess radioactive Iodine in the womb. The same group of children had a 27% increase in 'borderline cases'. Beginning on Tuesday, November 26, 2013, TEPCO is to begin attempting to remove the 1,534 used fuel rods that remain inside Reactor #4. These rods contain pellets of nuclear materials like Uranium and Plutonium as well as other radioactive materials. 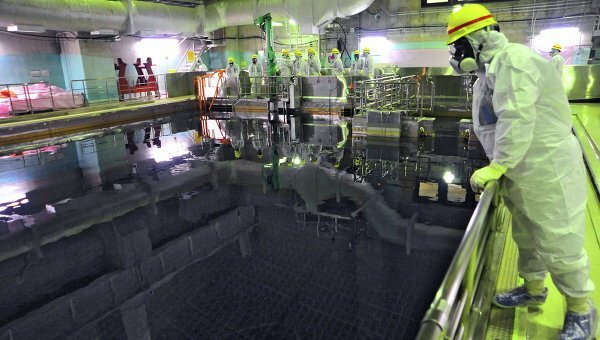 Experts say that the fuel rods may snap during the removal process because the reactor pool is physically damaged and the rods may not be able to come out perfectly straight. In the event a rod snaps, and fuel pellets fall out from inside the rod onto the floor of the reactor pool, they could begin reacting with each other on the floor of the pool. They would become self-sustaining mini reactors, completely uncontrollable, boiling-off the pool water, thereby allowing the remaining fuel rods to overheat and meltdown and releasing tons of radioactive gases into the atmosphere. One byproduct of such a scenario would be large amounts of hydrogen gas. The temporary structure built around Reactor #4 after the earthquake, would hold enough of that hydrogen gas to make the equivalent of a nuclear explosion once the gas ignites. Experts say that if such a scenario takes place as TEPCO is removing the remaining fuel rods, "it is bye-bye Japan and people on the west coast of the United States and Canada would have only DAYS to evacuate to avoid lethal doses of radiation." The stricken nuclear plant at Fukushima in northern Japan is in such a delicate condition that a future earthquake could trigger a disaster that would decimate Japan and affect the entire West Coast of North America, a prominent scientist has warned. Speaking at a symposium on water ecology at the University of Alberta in Canada, prominent Japanese-Canadian scientist David Suzuki said that the Japanese government had been “lying through its teeth” about the true extent of the 2011 Fukushima nuclear disaster. He attributed the cover-up to the Japanese government’s collusion with the Tokyo Electric Power Company (TEPCO) that administers the plant. “Fukushima is the most terrifying situation that I can imagine,” Suzuki said, adding that another earthquake could trigger a potentially catastrophic, nuclear disaster. “The fourth [reactor] has been so badly damaged that the fear is if there’s another earthquake of a 7 or above then that building will go and all hell breaks loose,” he said, adding that the chances of an earthquake measuring 7 or above in Japan over the next three years were over 95 percent. “The thing we need is to let a group of international experts go in with complete freedom to do what they suggest,” Suzuki said, adding that the only thing impeding this was the “pride” of the Japanese government that was refusing to admit this was necessary. 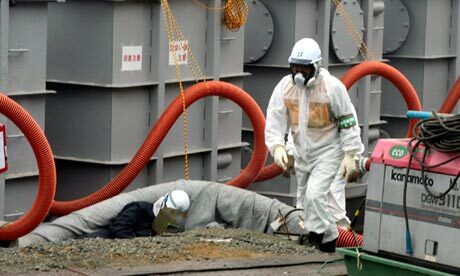 TEPCO has accepted the US government’s help in undertaking the risky cleanup operation of the Fukushima site. Teams of experts will begin the removal of fuel rods from the fourth reactor in mid-November in a decommissioning process that is likely to take decades. One wrong move in the delicate operation could result in horrific quantities of radiation being released into the atmosphere or trigger a massive explosion. Dr Helen Caldicott described the risks of removing the rods to RT as “terribly serious” because of the danger of releasing a large amount of radiation. Suzuki, a prominent environmental campaigner and scientist from the University of British Columbia, whose television science programs and books have gained a wide international audience, has been very vocal in his criticisms of Japan in its handling of the disaster. Despite his prominence in Canada, Suzuki has been criticized in the past by the media for double standards and his credentials as a scientist have been queried. While his television programs encourage society to consume less fossil fuel and adopt a more sustainable lifestyle, Suzuki reportedly lives in one of Vancouver’s most exclusive areas and has faced criticism over his globetrotting airplane travel. However, with regard to the current situation at Fukushima, a number of scientists have echoed Suzuki’s concerns. Nuclear technology historian Robert Jacobs told RT that there could easily be more destruction at the plant’s fourth reactor. “If this building were to collapse, which could happen, it would spill these spent nuclear fuel rods all over the ground which would make the 2020 Tokyo Olympics impossible and could threaten all kinds ofhealth problems throughout northern Japan and Tokyo itself,” Jacobs said. According to Professors in Japan, the ‘worst case scenario’ for Fukushima has been reached, the nuclear rods have melted and went through the reactor floors. This story released today from ENENews is disheartening and shares that this situation will continue to be THE major story for world health for humans, fish, bird and animal life across the entire world for decades if not longer. According to the newly released video below, the worst case scenario for Fukushima is also a ‘world-ends-scenario’, an “extinction level event if this mess is not cleaned up, fast.”Japan Professors: Worst case scenario at Fukushima, nuclear rods melted and went through reactor floors; Contamination is impacting rest of world; Likely that entire Pacific will be affected — Farmer: Gov’t doesn’t have any idea about status of fuelKyoto University’s Okada Norio, Yoshio Kajitani, Hirokazu Tatano & Beijing University’s Tao Ye, Peijun Shi: [T]he nuclear accident gradually became a level 7 nuclear event, which is a major accident and the highest level on the International Nuclear and Radiological Event Scale (INES), equivalent to the Chernobyl disaster in April 1986. The radiation in the vicinity of the reactor rose steeply, becoming a deadly threat to the local residents […] three units were exposed to level 7 accidents and one unit was exposed to a level 3 incident. The critical issue in the crisis became the cooling systems failures. […] The high temperature turned most of the internal coolant water into steam, which in turn exposed the fuel rods to air. […] Fuel would escape away from control rods, intensify decay, melt through the reactor floor, and consequently induce a massive release of radioactive isotopes, a worst case scenario. […] Radioactive isotopes released from Fukushima were later detected in North America and other regions in the world. […] The long-term impact of the nuclear crisis to Japan, the Asia-Pacific region, and the entire world is still not fully revealed. […] The radioactive contamination caused by the nuclear accident following the earthquake and tsunami is affecting the rest of the world through atmospheric circulation. The polluted water released by the Tokyo Electric Power Company is likely to affect the entire Pacific Ocean in the coming decades. Fukushima nuclear power plant operator Tokyo Electric Power Co.(TEPCO) is prepping for one of its most critical and dangerous processes to date in its incident-filled cleanup of what has been called the world’s worst nuclear disaster since Chernobyl. Starting in November, the embattled operator will be removing 400 tons of spent nuclear fuel from Fukushima’s reactor no. 4, where even a little mistake may result in a totally new nuclear disaster for Japan. The operation is scheduled to start in the beginning of November and be completed by around the end of 2014. Under normal circumstances, the operation would take around 100 days. 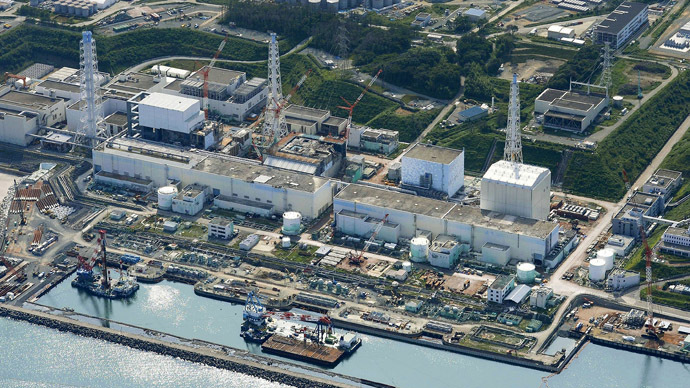 TEPCO had initially planned for this process to take two years, but due to the urgency of the situation – a minor earthquake could trigger an uncontrolled fuel leak – they reduced the schedule to one year. In this process, TEPCO will be removing more than 1,300 used fuel rod assemblies, packing radiation 14,000 times the equivalent of the Hiroshima nuclear bomb, from their cooling pool. Normally, this would be a computer-controlled process, but due to the situation at Fukushima, this time it has to be done completely manually – compounding the danger and risk. “The operation to begin removing fuel from such a severely damaged pool has never been attempted before. The rods are unwieldy and very heavy, each one weighing two-thirds of a ton,” says fallout researcher Christina Consolo. Should this attempt fail, a mishandled fuel rod could be exposed to air and catch fire, resulting in large quantities of radiation released into the atmosphere. In the worst-case scenario, the cooling pool could crash from its crane to the ground, dumping the rods together into a pile that could fission and cause an explosion many times worse than in March 2011. “The worst-case scenario could play out in death to billions of people. A true apocalypse,” Consolo said. The concern is palpable and real, as TEPCO’s track record these past few months have been less than stellar. Leaks have hounded the cooling process of the molten down reactors, resulting in radioactive waste water freely and daily flowing into the Pacific Ocean. 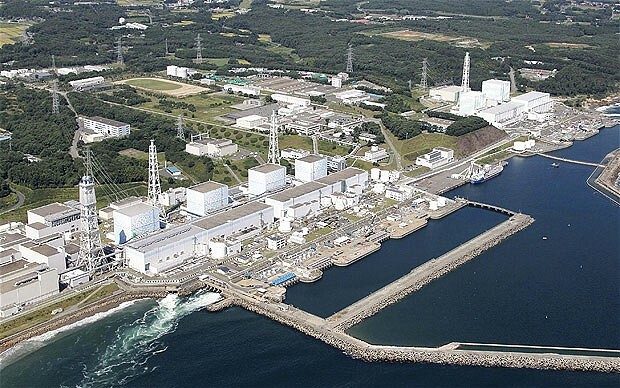 Japan’s Nuclear Regulation Authority (NRA) rated the incident 3 on the International Nuclear andRadiological Event Scale, which spans from 1 to 7. "The current situation is at the point where more surveillance won't be enough to keep the accidents from happening," declared Shunichi Tanaka, chairman of the NRA. The UN’s International Atomic Energy Agency (IAEA) has said that it is “taking this matter seriously and remains ready to provide assistance on request." In the past, Japan has been averse to letting foreign entities help with eradicating the nuclear fallout from the Tohoku Disaster of March 2011. The vast majority of clear-up tenders were won by local companies, and outside experts have observed from afar. The leak is the latest - and most serious - in a string of accidents that have kept the station in the headlines throughout the summer. 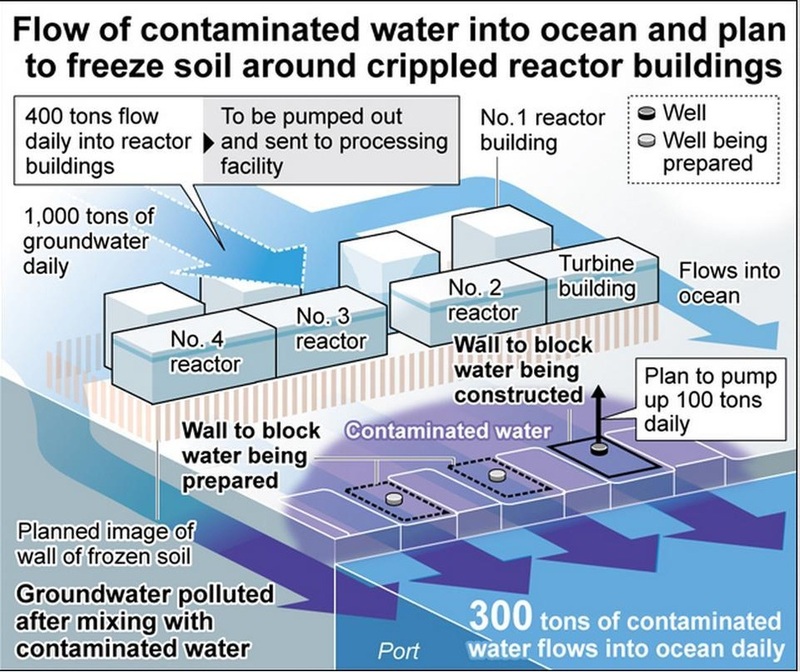 TEPCO admitted that groundwater that floods the damaged basements of the destroyed reactors is becoming contaminated and flowing out into the ocean. Three-hundred tons of the radioactive liquid reached the open water each day, even as TEPCO continued to deny the existence of the problem. The financially-troubled company is attempting to construct a chemical and steel double barrier to stop this outflow, but the obstacle is not impermeable and only covers a limited area - requiring water to be pumped away to stop it from building up and bursting through. "The contaminated water remains a problem that could lead to a crisis," Aizawa conceded during the press call. “Unfortunately, TEPCO waited until a severe emergency arose to finally report how bad things really are. Historically, everything TEPCO says always turns out to be much worse than they initially admit,” nuclear accident researcher Christina Consolo told RT. Most experts say that it could take between four decades and a century to eliminate the impact of the Fukushima disaster. Typhoon Man-yi smashed into Japan on Monday, bringing with it heavy rain that caused flooding in some parts of the country, including the ancient city of Kyoto. 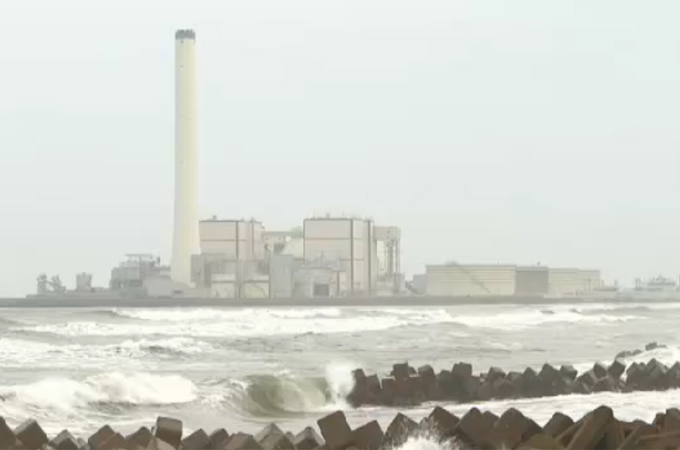 The rain also lashed near the broken plant run by Tokyo Electric Power (TEPCO), swamping enclosure walls around clusters of water tanks containing toxic water that was used to cool broken reactors. Some of the tanks were earlier found to be leaking contaminated water. 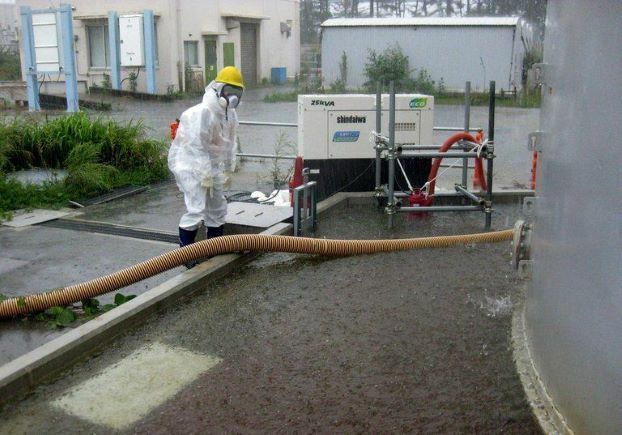 "Workers measured the radioactive levels of the water collected in the enclosure walls, pumping it back into tanks when the levels were high," said a TEPCO official. "Once finding it was mostly rain water they released it from the enclosure, because there is a limit on how much water we can store." 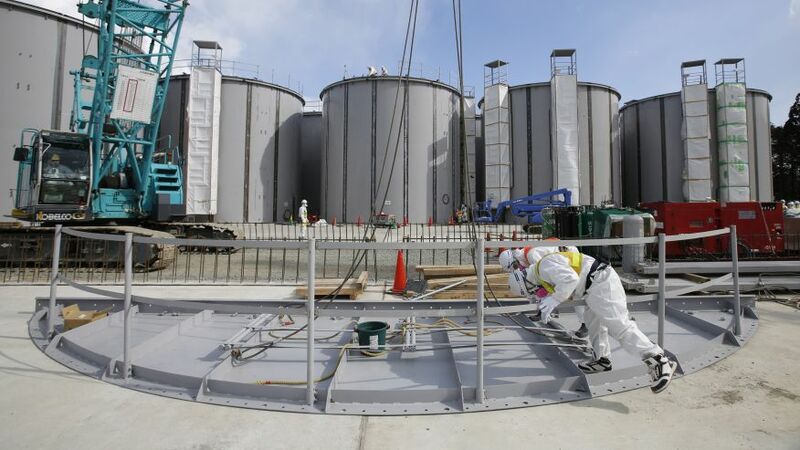 The utility said about 1,130 tons of water with low levels of radiation -- below the 30 becquerels of strontium per litre safety limit imposed by Japanese authorities -- were released into the ground. But the company also said at one site where water was found contaminated beyond the safety limit workers could not start the water pump quick enough in the torrential rain, and toxic water had leaked from the enclosure for several minutes. Strontium is a potentially cancer-causing substance that accumulates in bones if consumed. Thousands of tonnes of water that was poured on the reactors to tame meltdowns is being stored in temporary tanks at the plant, and TEPCO has so far revealed no clear plan for it. The problem has been worsened by leaks in some of those tanks that are believed to have seeped into groundwater and run out to sea. Separately, around 300 tonnes of mildly contaminated groundwater is entering the ocean every day having passed under the reactors, TEPCO says. Contaminated water tanks at the tsunami-crippled Fukushima Daiichi nuclear power plant are leaking toxic water into the ocean. Radiation readings around tanks holding contaminated water at the crippled Fukushima Daiichi nuclear plant have spiked by more than a fifth to their highest levels, Japan's nuclear regulator said Wednesday, heightening concerns about the cleanup of the worst atomic disaster in almost three decades. Radiation hot spots have spread to three holding areas for hundreds of hastily built tanks storing water contaminated by being flushed over three reactors that melted down at the Fukushima Daiichi plant in March 2011. The rising radiation levels and leaks at the plant further inflamed international alarm, one day after the Japanese government said that it would step in with almost $500 million of funding to fix the growing levels of contaminated water at the plant. Readings just above the ground near a set of tanks at the plant showed radiation as high as 2,200 millisieverts (mSv), Japan's Nuclear Regulation Authority (NRA) said Wednesday. 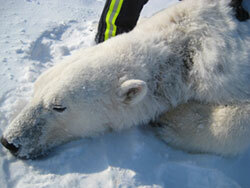 The previous high in areas holding the tanks was the 1,800 mSv recorded Saturday. Both levels would be enough to kill an unprotected person within hours. The NRA has said the recently discovered hot spots are highly concentrated and easily shielded. The revelations came just days before the International Olympic Committee decides whether Tokyo -- 140 miles from the wrecked plant -- will host the 2020 Olympic Games, and the government is keen to show that the crisis is under control. Madrid and Istanbul are the rival candidates. "The world is watching to see if we can carry out the decommissioning of the Fukushima nuclear power plant, including addressing the contaminated water issues," Prime Minister Shinzo Abe told Cabinet ministers, who met to approve the plan. The government intervention responds to only a tiny slice of the Fukushima crisis triggered by the 2011 earthquake and tsunami, which destroyed safety sytems and caused three reactor meltdowns. The cleanup, including decommissioning the ruined reactors, will take many decades and likely rely on unproven technology. The measures do not address the full problem of water management at the plant or the bigger issue of decommissioning. The sensitive job of removing spent fuel rods is to start in the coming months. The ultimate fate of the plant's operator, Tokyo Electric Power Co. (TEPCO), also remains unclear, as does the question of who will eventually foot the bill: Japanese taxpayers or the embattled TEPCO. "This is a matter of public safety, so the country has to take the lead on this issue and respond as quickly as possible," Economics Minister Akira Amari told a news conference. "Figuring out who to bill for the costs can come later." Chief Cabinet Secretary Yoshihide Suga told a separate news conference that the government would spend a total of $473 million, including $210 million in emergency reserve funds from this year's budget. Of that, $320 million will fund the building of a massive underground wall of frozen earth around the damaged reactors to contain groundwater flows, and $150 million will be spent to improve a water-treatment system meant to drastically reduce radiation levels in the contaminated water. TEPCO, Japan's biggest utility, has come under a fresh flood of criticism following a stream of bad news including its admission, after repeated denials, that contaminated water was flowing into the Pacific Ocean. That was followed by leaks from aboveground tanks used to store radiated water. The problems have revived notions, debated but rejected in the months after the 2011 disaster, of liquidating TEPCO or at least splitting off the Fukushima operation from its other businesses and putting it under direct government control. "Is anyone at TEPCO taking responsibility for these mistakes? I haven't heard of anyone stepping down or being fired," said Taro Kono, a deputy secretary-general of the ruling Liberal Democratic Party (LDP) who is critical of nuclear utilities. "TEPCO needs to go down and the government needs to take over," he said, acknowledging that his was a minority view in the ruling party. Industry Minister Toshimitsu Motegi and other LDP officials have said liquidating TEPCO was not being considered. Critics said the government was mainly trying to cool down international media coverage ahead of the Olympics decision. "At a moment when international public opinion is worrying about the long-term consequences of repeated leaks at the site, Tokyo seems to be obeying the short-term logic of waiting until the Olympics decision is over," Mycle Schneider, an independent nuclear energy analyst based in Paris who frequently visits Japan, said by email. A more sustainable option, he said, would be to seek global support to confront Fukushima's unprecedented challenges. Motegi denied the Olympics bid was the main motivating factor. "The government felt that we want to be fully involved and put together fundamental measures regardless of the decision on where they will hold the Games," he said. Measurable radiation from water leaking from the facility is confined to the harbor around the plant, Motegi said, and is not an environmental threat to other countries because the radiation will be diluted by the sea. Yet in April 2012, fish caught more than 120 miles from Fukushima showed extremely high levels of contamination with radioactive cesium traceable to the failed nuclear plant. That same month, a report from the Woods Hole Oceanographic Institution showed cesium-137 in ocean eddies 180 miles from Fukushima at levels hundreds to thousands of times higher than expected to occur naturally. The closest towns to the stricken plant remain deserted and off limits to the public. But some former residents have started to return to their homes, some of which are less than 12 miles away, as decontamination work progresses. China said last month it was "shocked" to hear that contaminated water was still leaking from storage tanks, and it urged Japan to give timely and accurate information. 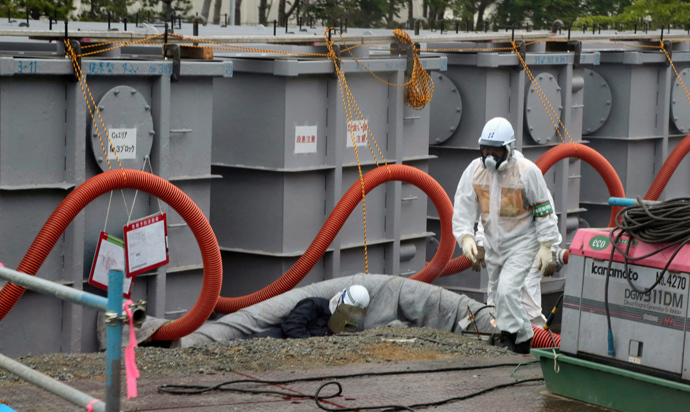 TEPCO is storing enough contaminated water to fill more than 130 Olympic-sized swimming pools, mostly in hastily built tanks that officials have said may spring further leaks. The planned measures are daunting. Freezing earth to block water flows is a technology commonly used in digging subway tunnels, but is untested on the Fukushima scale and the planned duration of years or decades. Furthermore, some engineers say this plan will cause water to pool under the damaged plant, further destabilizing the ground around the reactors and spent-fuel pools. The decontamination technology has repeatedly suffered from glitches. The Advanced Liquid Processing System (ALPS), developed by Utah-based EnergySolutions and Toshiba Corp., can remove all radioactive particles from water except tritium, which has a half-life of approximately 12 years. But the system has been stalled for months due to mishaps. toFrom The Guardian, September 1st: "Radiation levels 18 times higher than previously reported have been found near a water storage tank at the Fukushima Daiichi nuclear power plant, causing fresh concern about the safety of the wrecked facility. The plant's operator, Tokyo Electric Power (Tepco), said radiation near the bottom of the tank measured 1,800 millisieverts an hour – high enough to kill an exposed person in four hours." The stricken reactors have been leaking radioactively contaminated water into the ocean since the disaster first began on March 11, 2011, with unknown consequences to sea life and the surrounding ecosystems. TEPCO has finally admitted that a toxic mixture of groundwater and water being used to cool melted fuel lying deep inside the damaged reactors was seeping into the sea at a rate of about 300 tonnes a day. There is little confidence left in the utility's ability to manage the current crisis let alone the future prolonged decommissioning process. The Guardian reported that: "The high radiation levels announced on Sunday highlighted the dangers facing thousands of workers as they attempt to contain, treat and store water safely, while preventing fuel assemblies damaged in the accident from going back into meltdown. "Japan's nuclear workers are allowed an annual accumulative radiation exposure of 50 millisieverts. 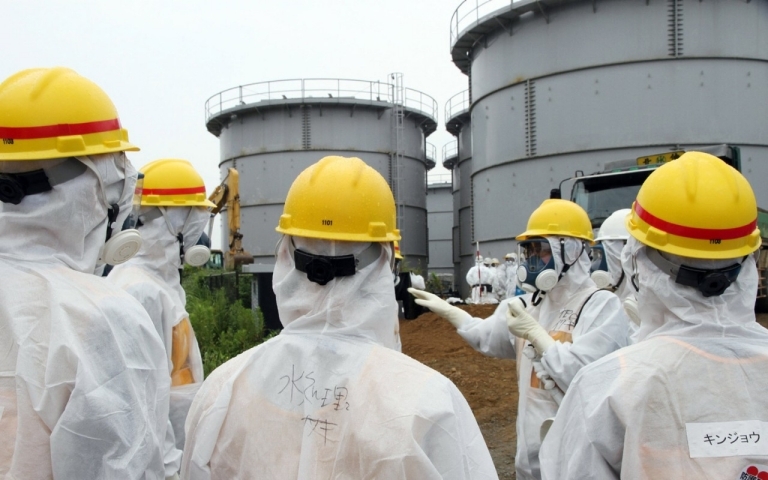 Tepco said radiation of 230 millisieverts an hour had been measured at another tank, up from 70 millisieverts last month. 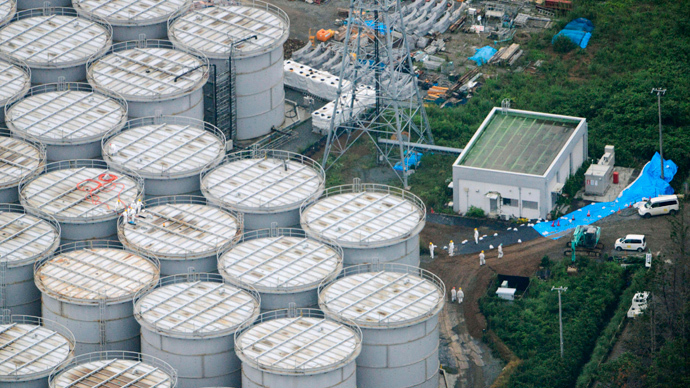 A third storage tank was emitting 70 millisieverts an hour, Tepco said. Radiation near a pipe connecting two other tanks had been measured at 230 millisieverts." For the first time since Japan’s nuclear catastrophe erupted two and half years ago at the Fukushima Daiichi nuclear power station, Tokyo Electric Power Company (TEPCO) requested international aid in an increasing desperate fight to bring theworsening disaster under control. Copyright © 2011-2013 Above Water Records. All Rights Reserved. 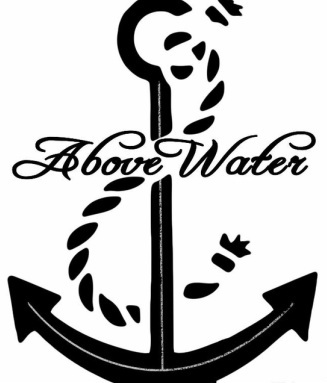 Above Water Records is a Trademark of Nammo Enterprises LLC.